Every now and then an app comes along that surprises me, and proves to be far more enjoyable than I was expecting, and Newsmeister is just that: surprisingly enjoyable. I was expecting a bog standard quiz app, but what I actually got is far more interesting than that. 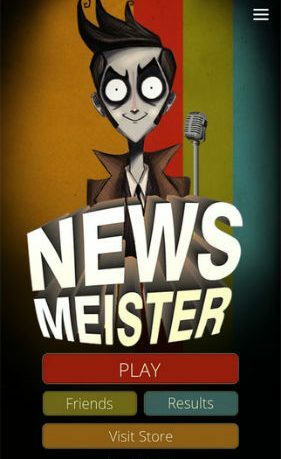 In the same way that ‘Have I got News For You’ got a generation interested in politics using comedy, without even meaning to, Newsmeister will get you interested and involved in current affairs through a quiz that will keep you informed as well as entertained. The basic set up of the app is that it offers a daily set of questions based on current events for you to tackle. You get to choose questions based on their potential difficulty, with more points awarded for tackling the more risky questions. You can also choose to have more localised or general worldwide questions. The first really cool thing you notice about the app, after the catchy music that is, is the little bits of relevant info regarding how others fared on the same question, so you can be told that 90% of people got this one wrong, or that most got it right. 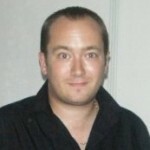 It really adds an extra, social dimension to proceedings and is a great use of the questions. One thing that did go wrong for me on a couple of occasions is that the app would sometimes hang when in the ‘updating questions’ function, forcing me to quit the app and restart. I did only happen a couple of times, but it is worth mentioning. 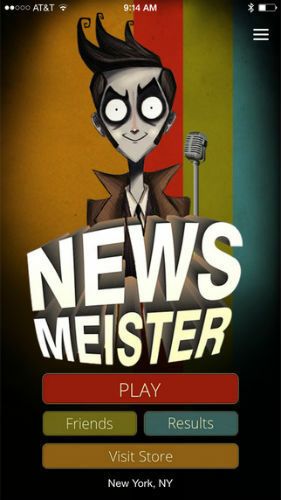 NEWSMEISTER isn’t trying to stump you with esoteric trivia; the game is designed for people like you. People who are interested in current events. People who engage in the latest social and political discourse. People whose awareness extends beyond their immediate world. You don’t need a Ph.D from Harvard or MIT. Just follow the news! NEWSMEISTER is a quick game. At roughly three minutes long, it’s a great way to occupy yourself during a quick bus or subway ride, or while taking a coffee break. We like to think of NEWSMEISTER as short, but substantial. How do you stack up against other NEWSMEISTER players? NEWSMEISTER shows daily leaderboards that list high scores and other interesting data from the previous day. See how you fare and compare your score to that of your friends or people who live in the same city or state. The game is completely integrated with social networking and has some great features built around this, such as the handy in-game text chat where you can trash talk your friends, and the comprehensive leaderboard options which allow you to really break down how well you and others are doing. The app is a great way to stay on top of the news, as you are going to have to be ready for some of those tougher questions. It is great when a question about a smaller story comes up and you remember reading about it recently, knowing that your friends are very unlikely to know the answer. The app is a perfect blend of quiz, news and social interaction and comes very highly recommended.